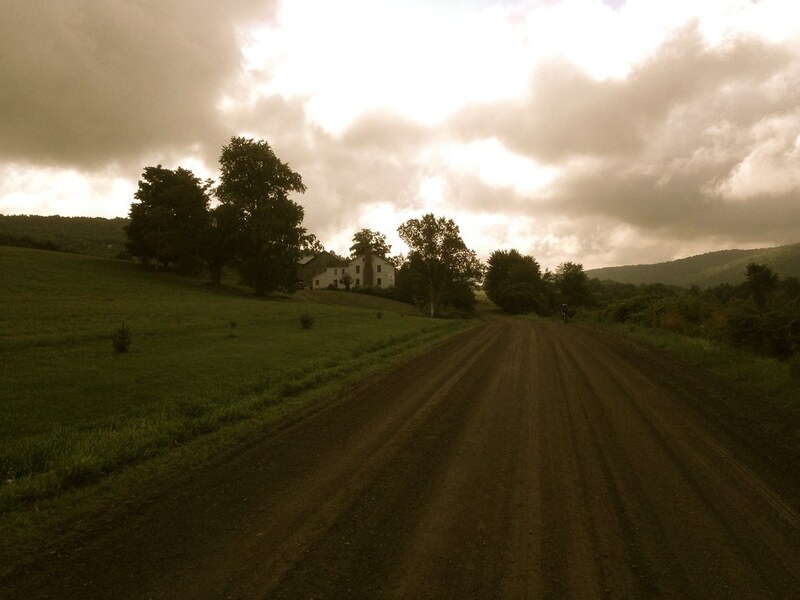 I’m in the Western Catskills for a couple of weeks, and continuing to discover dirt road cycling gems. Before embarking on vacation, I discovered that Bing maps has this wonderful undocumented feature of distinguishing paved and unpaved roads when zoomed in to 1000ft scale and closer. Unpaved roads are traced in brown (how appropriate!) while paved roads are in white. What a valuable resource for charting out dirt/gravel roads! To test the accuracy of this feature, I focused on an area just west of my home that I’m not familiar with, one which I’ve driven through once or twice but never ridden. All new cycling territory. I made note of all the roads marked as unpaved in Bing maps, then went into ridewithgps and charted out a loop of 43 miles roughly bounded by the towns of Franklin, Walton and Delhi, taking in as many of those roads that would fit in the loop, and at least one place to stop for food and water. This region is particularly secluded, so options for provisions are slim. To my delight, Bing delivered with impressive accuracy! And unlike some of my other routes which take in sporadic stretches of dirt roads, this route spreads them out evenly, alternating dirt and quiet paved segments with regular periodicity (dirt segments are shown in green). 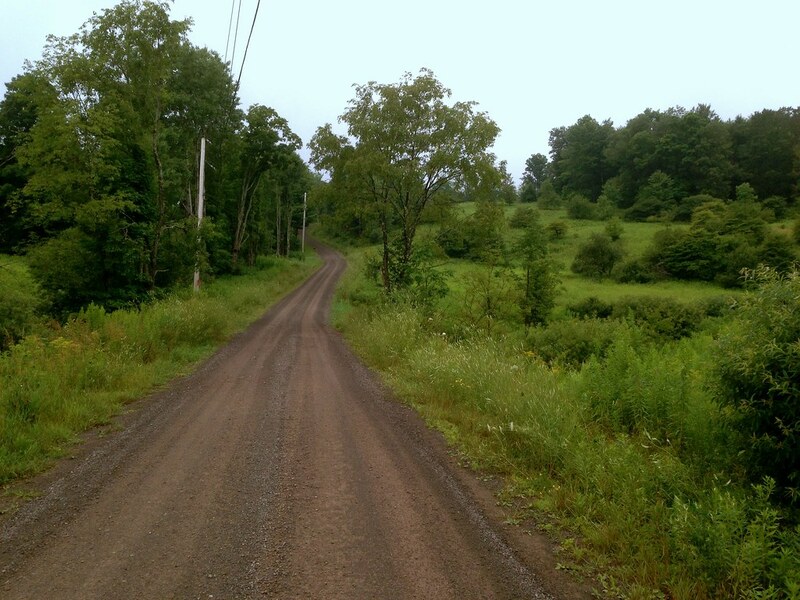 I was never on pavement for too long before another delicious stretch of dirt road presented itself in front of me. And even more enjoyable, many of these dirt stretches were little more than old carriage trails, narrow, tree-lined, isolated. 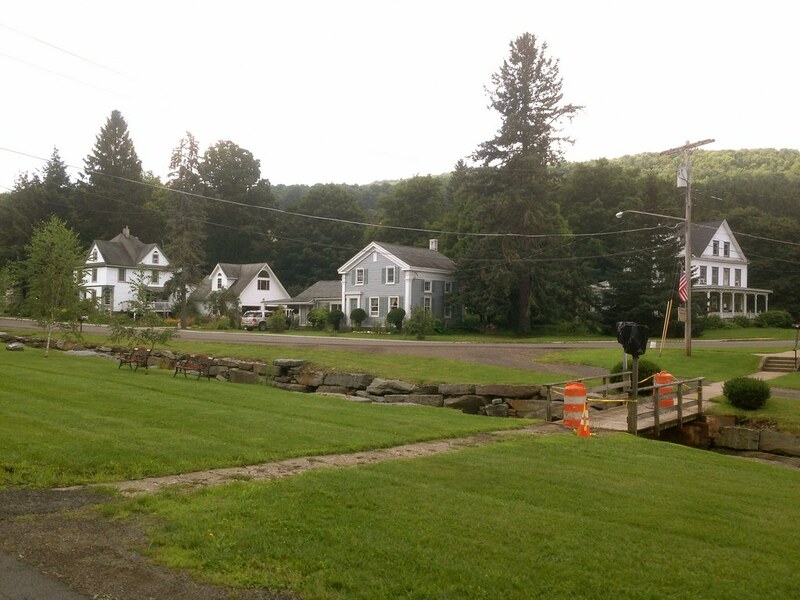 The route starts and ends at the Dutch Deli, a small deli and convenience store nestled in the valley village of Meridale, on Route 28 halfway between Delhi and Oneonta. The owner, speaking with a Dutch accent, kindly agreed to let me park my car in the lot for a few hours. Out of courtesy, I would recommend to anyone contemplating doing this route to check in with the owner to confirm that this is okay. 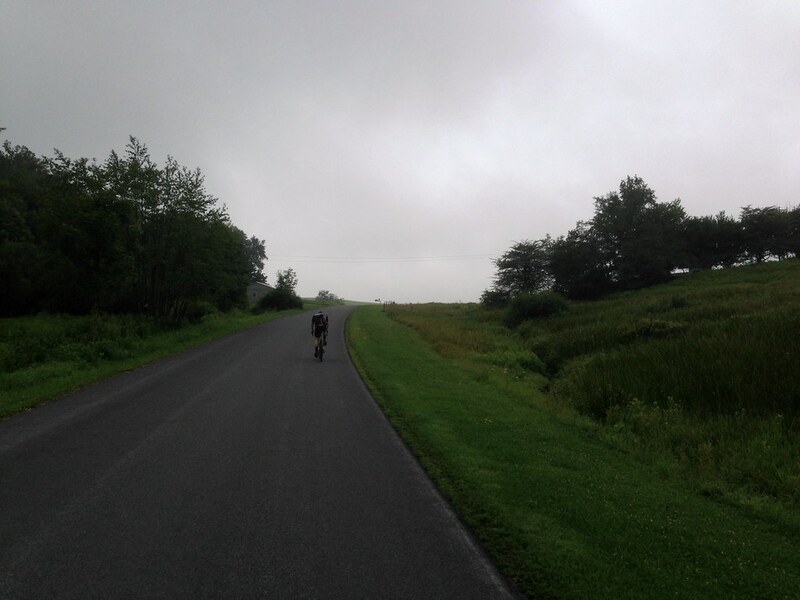 A few days before doing the ride, a Riding the Catskills reader contacted me to inform me he was going to be in the area and would like to do a ride. Our schedules worked out, so Ben and I met in Meridale to ride the loop together. 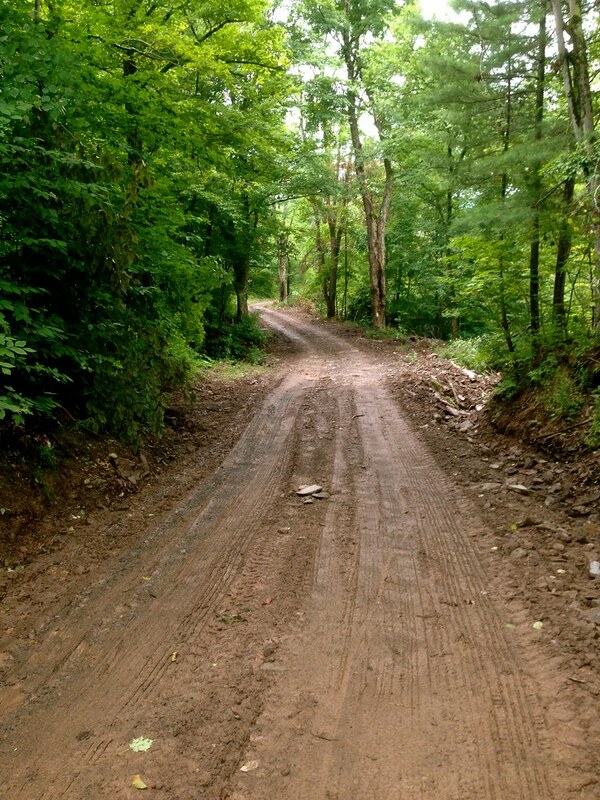 Not two miles into the ride, we experience the first dirt road, Sutherland Rd. 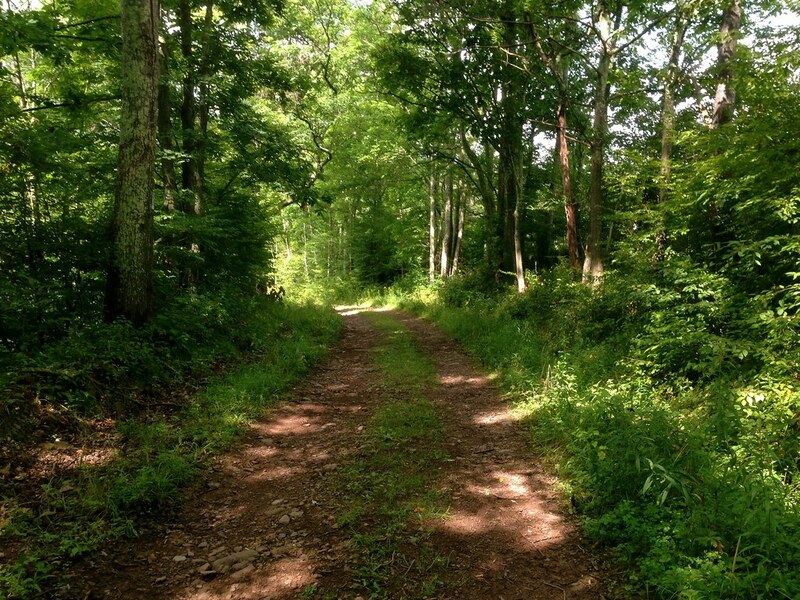 As it climbs to the top, it narrows into a tree-lined, single lane road with cut pastures on either side. 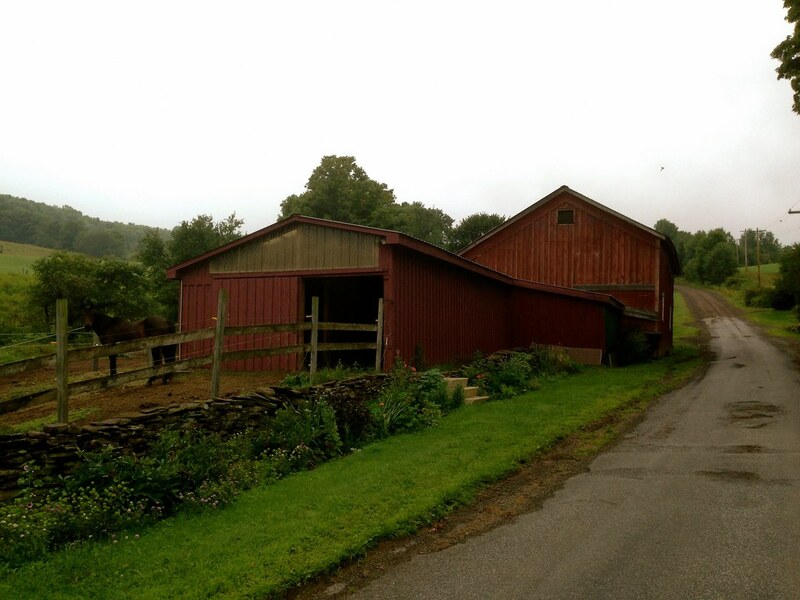 Notably, there were more working farms, and less abandoned barns, on this route compared to other areas I’ve reported on. The other regular site for me, besides dirt roads and barns, was Ben, who, being a stronger climber than I, was always ahead of me in the climbs. The only road that seriously tested the traction limits of my Compass Babyshoe Pass tires was Pomeroy Rd in Treadwell. Here, the usual smoothly graded dirt turned first to rocky double track, and then to muddy logging trail, which continued upward for what seemed like a long time. At one point I had to walk as the smooth tire tread began to sink and spin in the mud. From Pomeroy Rd, a smooth and fast paved descent whooshed us down into the adorable village of Treadwell, the first and only rest stop along the route (and indeed, the only village along the route other than Meridale). If you’re in Treadwell, be sure to stop in at Barlow’s general store and try their incredibly good homemade donuts! From Treadwell there were two more dirt segments before merging onto Rt 28 for the last mile back into Meridale. (This was the only stretch of state highway in the entire route!). 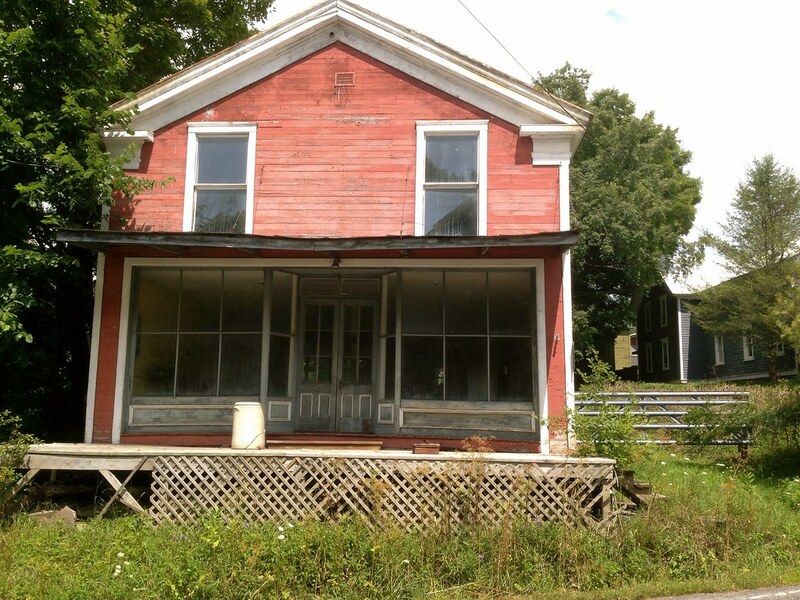 This cute abandoned storefront could be something wonderful… too bad it’s literally a couple of feet from the highway. I’d definitely consider this route a ‘must ride’ for anyone in the area. 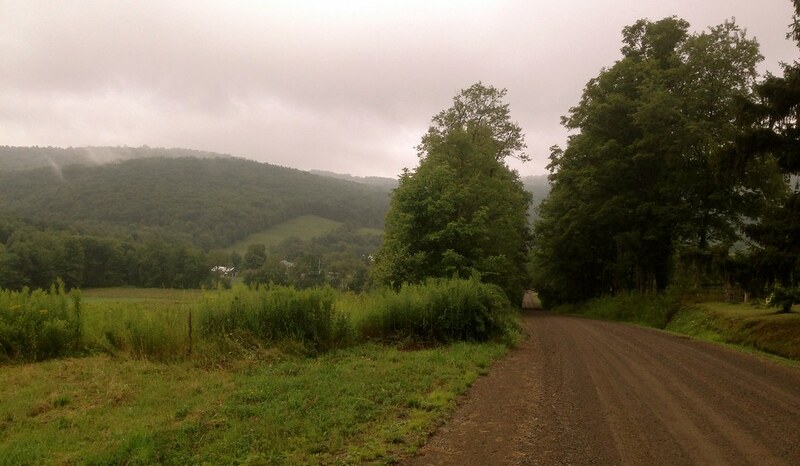 And finding another wealth of dirt roads and amazing cycling in another little corner of the Catskills just over from mine reminds me just how much more remains to be discovered. I’ve barely scratched the surface. 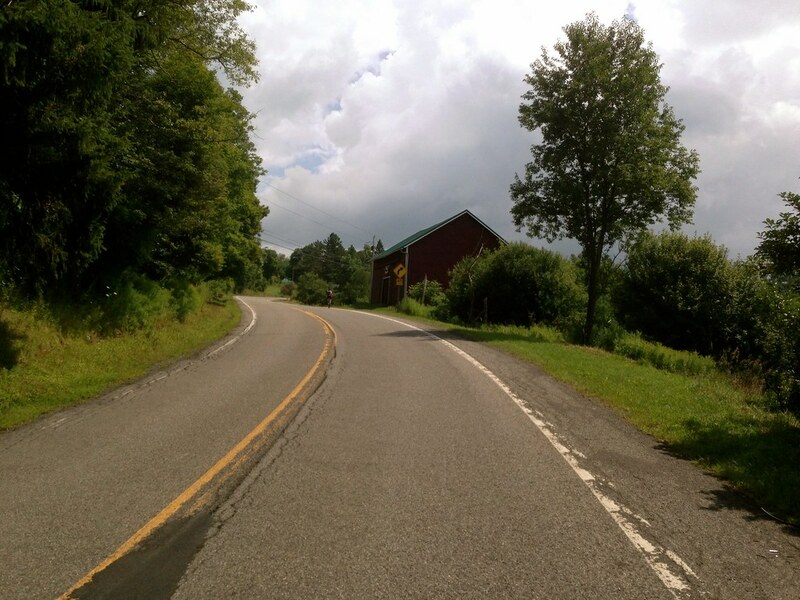 This entry was posted in 650B, bicycles routes rides, catskills, rides, routes, Worth the trip on August 7, 2014 by somervillebikes. 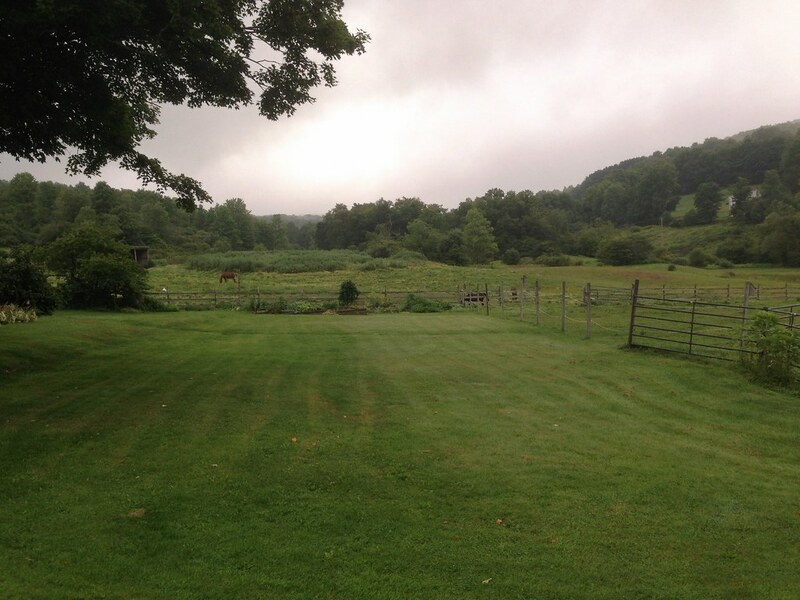 Thank you….feeling very homesick today and these shots are just what I needed! 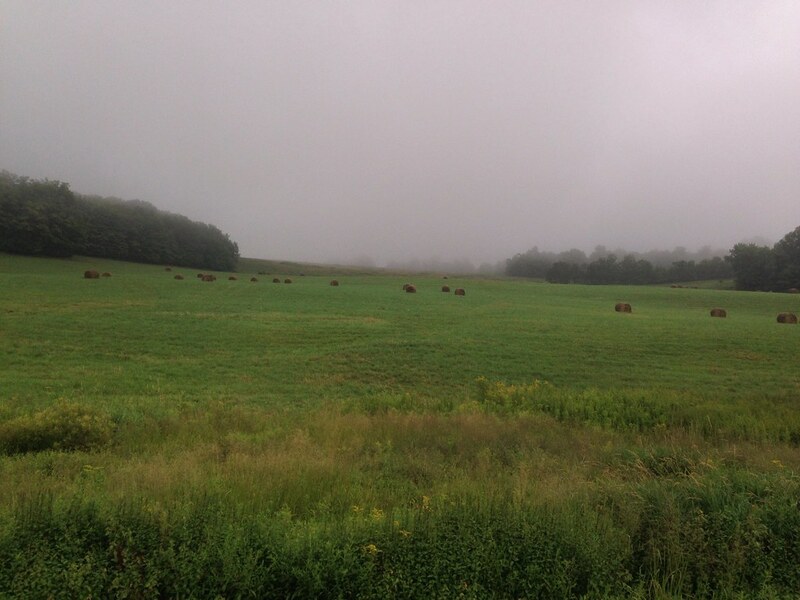 I grew up in Franklin and my grandparents(well technically mine and Aunts) farm in on 28 some in Meredith and some in Delhi…..I just love your blog and photos! Great write up. Pretty much summed up the ride. I missed a lot of the sights while attempting my best Marco Pantani impersonation on the climbs and was too focused on following your line on the ways down. It looks like a beautiful ride. I enjoy the photo of the old storefront; old buildings frequently stir my imagination and I love to imagine the possibilities. Cool to know about the Bing feature too. Great post as usual! BTW, Dutch Deli had home made chocolates last time I stopped there! Having been to Europe a few times, in the alps and foothills, it seems that some parts po NYS have a bit of a ‘European’ feel. I would imagine that NY State has some of the best riding land/hardscapes in the northeast or east coast for that matter. I have this Friday 8/22 off and am wondering if you have any cue sheets or a link to a map I could use…I’m not going to d2r2 this year so this will have to suffice. Spencer, I usually link to the full route in ridewithgps.com in my posts. The link to this route is in the first paragraph. You can print out cue sheets from all the routes in ridewithgps. The cue sheet for this route is vetted, but the only thing you need to look out for is the lack of road signs on a lot of these roads– lots of turns are unmarked! But if you have a GPS computer or even just a simple cyclometer on your bike, you can follow the cue sheet easily. If you want a longer router close to something like D2R2, shoot me an email and I can point you to a very comparable longer route. (I’m also not doing D2R2 this year). Post back here if you manage to get a ride in! Waking up to a light rain, I think I will stay local and save this for a better day. I did download the ride with GPS app. I am going to play with that a bit. Maybe I can share a ride from the Taconic range with you guys from the west side of the river. I always enjoy reading the ride reports! Sorry for the double post but I wanted to say thanks for pointing out the “ride with GPS” app. With the sketchy weather and not knowing the app, I elected to ride an old favorite while using the new app. Here is a ride that is similar in distance, elevation and road choices as your most current report. It is possible to ride in 3 different states, almost a vertical mile of climbing, less than 50 miles long, lots and lots of wonderful dirt. I know the Taconic hills are not the Catskills but I could see them in the distance…also the the green mts and I think Mt Greylock. It did rain but the long fenders and a couple baggies saved the day. Your ride looks lovely! And yes, very similar overall elevation profiles. That side of the Hudson is very pretty, although I’ve never cycled there. 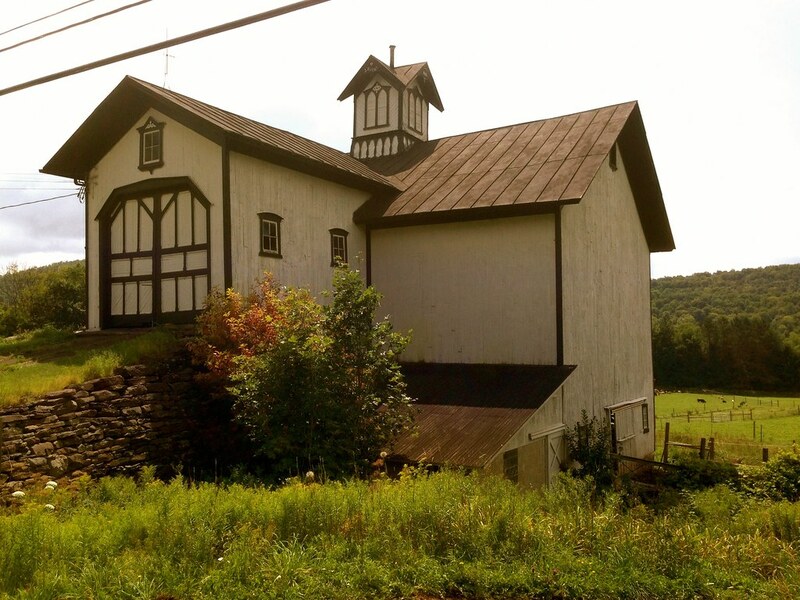 Are you planning to do the F2G2 ride in Becket, MA this October? Looks similar. Great post. I had a cabin in Walton for a few years. 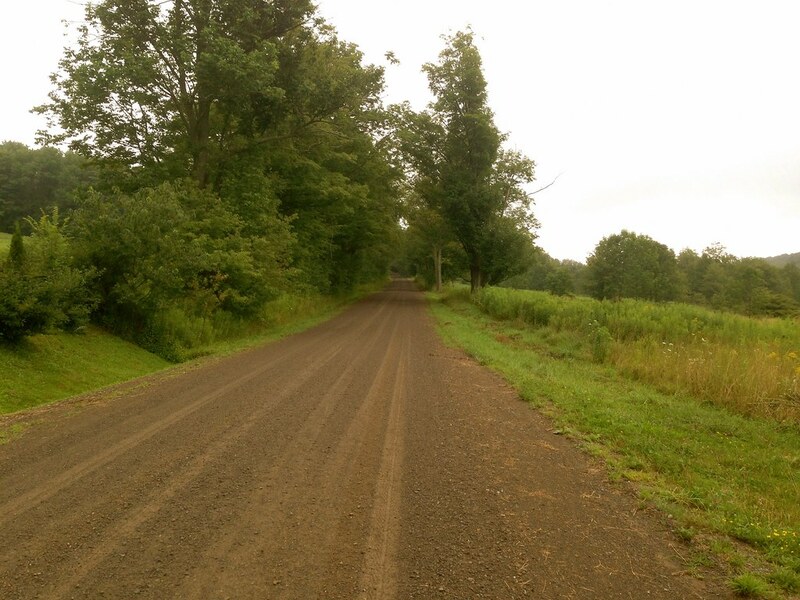 I used to run in the area, but I did not know that there was such a vast array of dirt roads. I would love to take my cyclocross bike up there for a few rides. Beautiful pics as usual. Keep up the great posts! 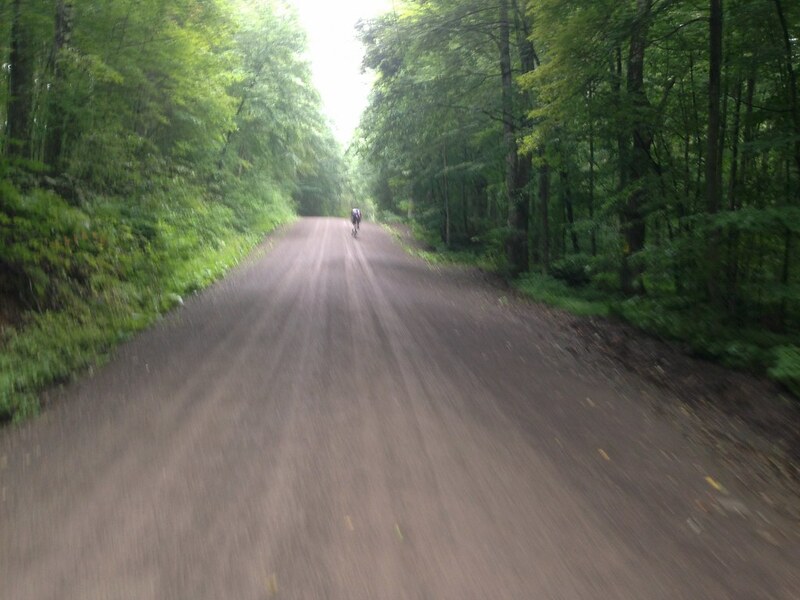 I came across your posts on riding in Delaware County and I am truly impressed. I grew up in the Hudson Valley and on occasion drove through DC, but I never realized there was so much great terrain to cycle. I’m now living in Rhode Island and have been involved in a number of dirt road events this year (next one is F2G2) and have mapped a number of routes in western MA and southern VT/NH. I would enjoy getting to know this region, so please contact me via email to discuss the possibility of connecting for a ride. 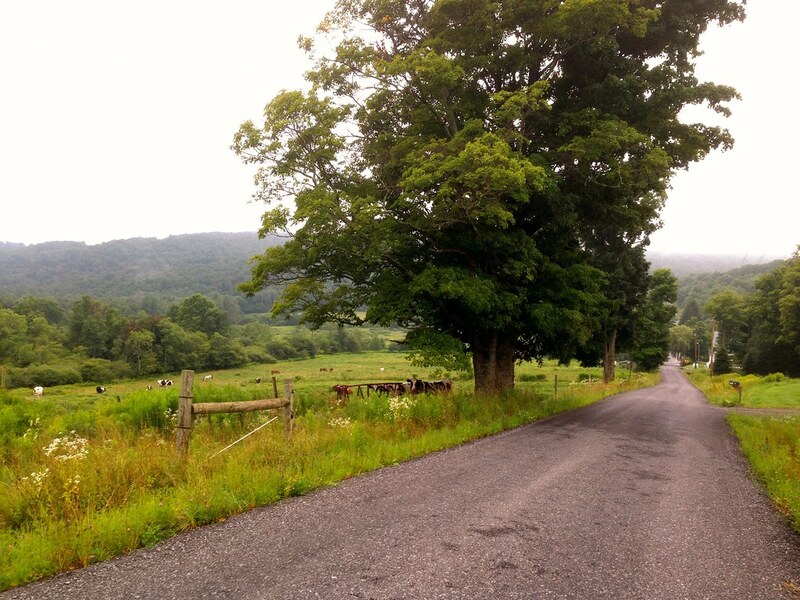 Hi — looking for a 2 day adventure accessible from NYC — with as many dirt roads as possible! thoughts? I didn’t know that about Bing! It’s awesome and will definitely help me in my route planning. 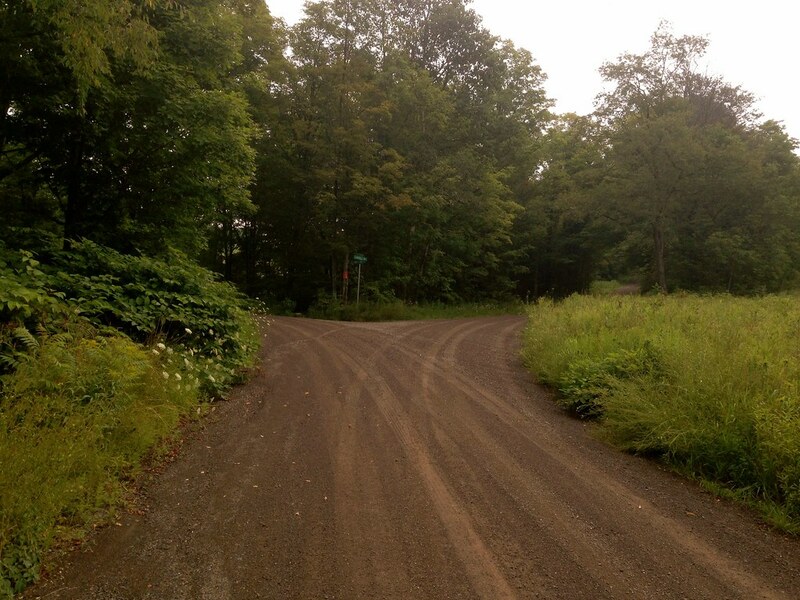 One thing that I have been doing is using Google Maps to map out all the dirt roads in Western CT, SW MA and I am starting to move into Eastern NY thanks to your discovery. It looks like Bing has dropped that feature, but I did find this the other day: https://www.dot.ny.gov/highway-data-services/lhi-local-roads. Click on a county and look at the “Pvt. Type” column : Asphalt, Concrete, or Unpaved. I hope this helps. Hey Zed, thanks for that link. I’m working on exporting and scrubbing the data and superimposing it onto a graphical map. Stay tuned! I rode this route this past weekend with my girlfriend and it was great. I was on a cross bike with 32s and 46/36 11-28 gearing and she had a road bike with 28s and 52/36 11-28. Some of the climbs were a bit steep but we were fine. Beautiful scenery, leaves just starting to change and very few cars. Unfortunately the General Store in Treadwell is closed, so stock up on food beforehand because there are no services anywhere along the route. We ended up having to top off our bottles at a house along the route. Thanks for the review, Tim. I was hoping to get over that way again this summer but ended up spending very little time in the Catskills. I hope to return this fall. Thanks for pointing out that the store in Treadwell closed. That’s sad, it was a nice and inviting place to stop in the middle of nowhere. I hope it reopens as another store or cafe. 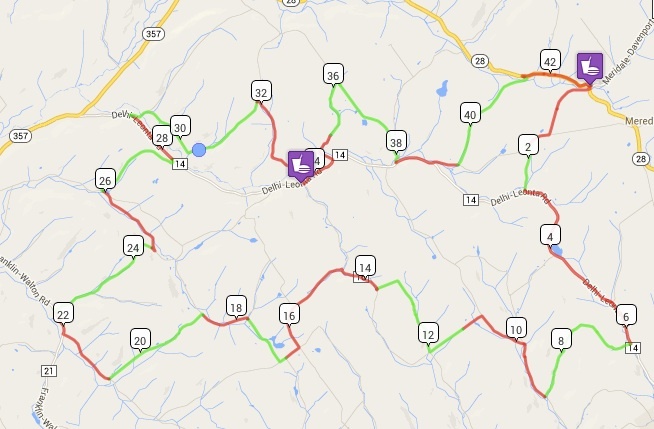 I have a few D2R2 courses on it that I have ridden. I asked for a data dump of few of the counties so I could filter out the paved roads and then find all the unpaved roads that I have missed so far and add them to this map. Hey Mark, thanks for the link to your map. That’s fantastic. I did a similar data dump for Delaware County, NY, but haven’t yet translated it into a Google map. I’d love to add your information to my map.